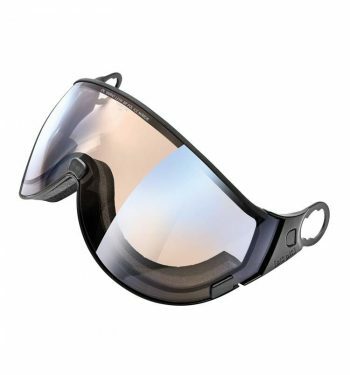 The continuous development of a product turns it into a truly sustainable product. 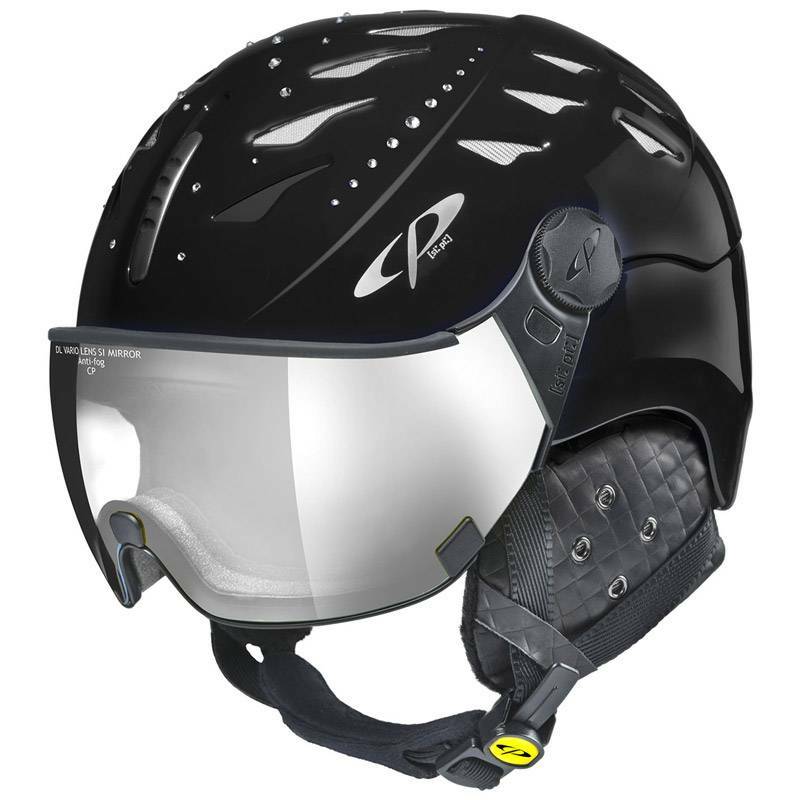 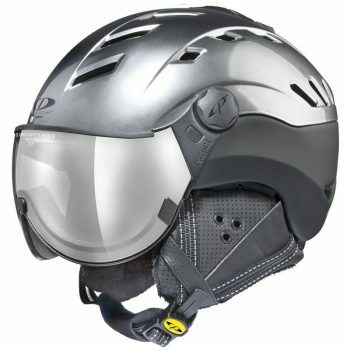 The CP Cuma Cubic Visor Ski Helmet is the next evolution of this legendary visor ski helmet. 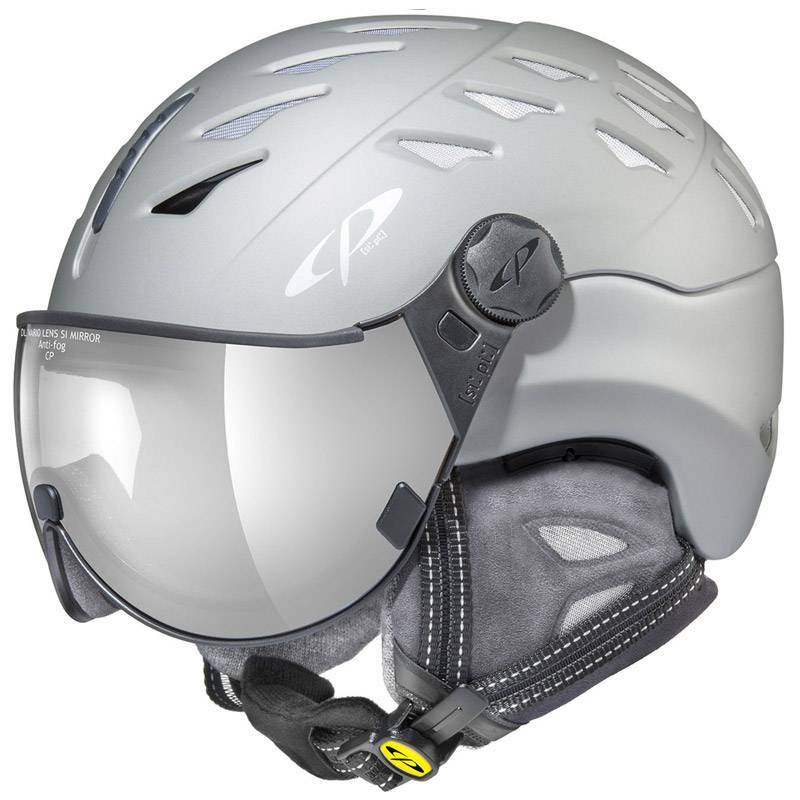 Designers and manufacturers coexist in harmony as every seemingly inconspicuous improvement to the helmet or the visor is an expressed with the CP philosophy of Excellence in Elegance. 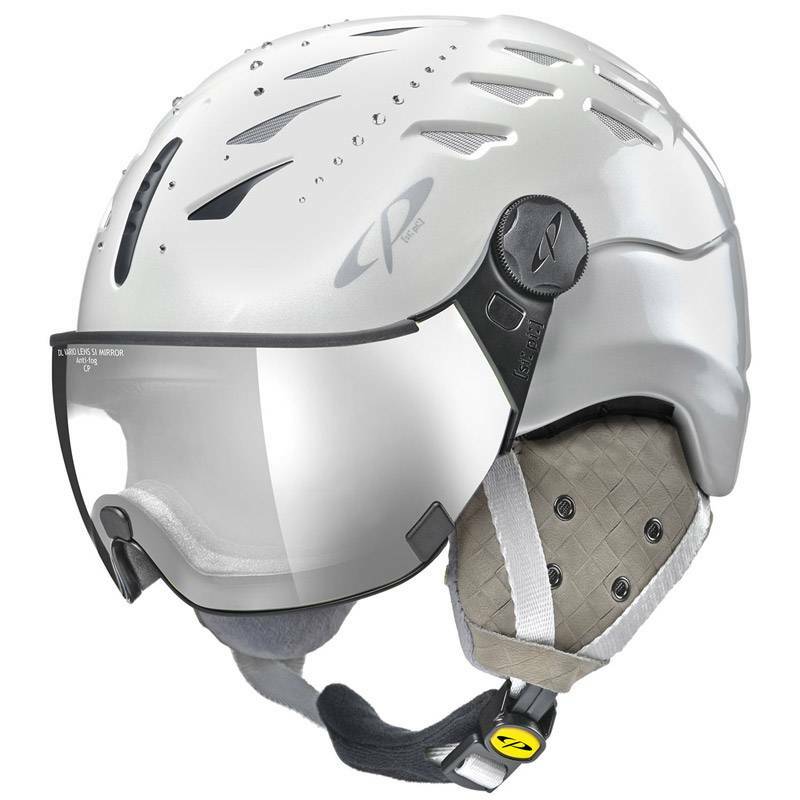 The design of the CP CUMA CUBIC is reminiscent of an elegant lace pattern and in so serving as a counterpoint to the high-tech world on the ski slopes. 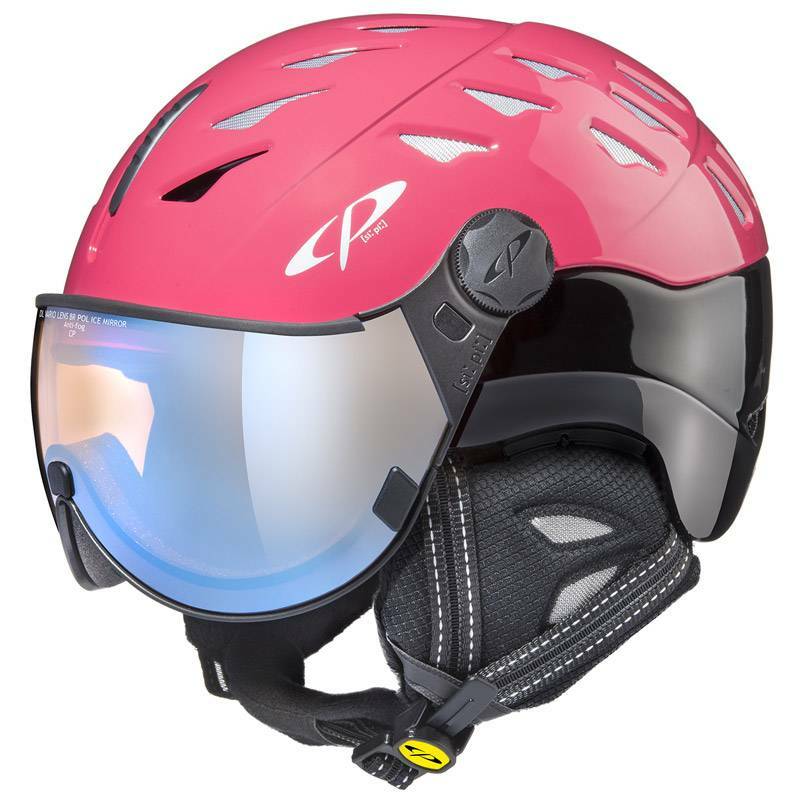 But under the Cubic design shell, a CP helmet is loaded with all the outstanding features you have come to know and expect, including as CLIMATE + for the ultimate in comfort and the SIZE ADAPTING SYSTEM for the perfect fit with the turn of a hand. 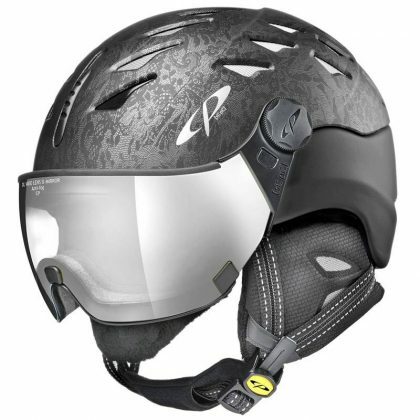 This particular helmet is a beautiful black lace cubic s.t.and comes with a DL (Double Lens) vario silver mirror visor. 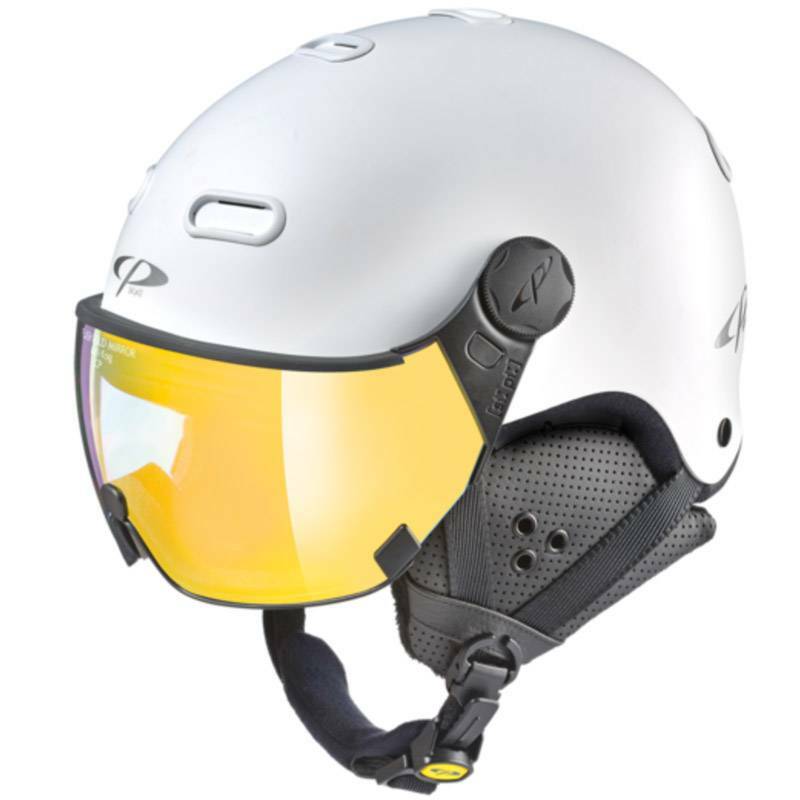 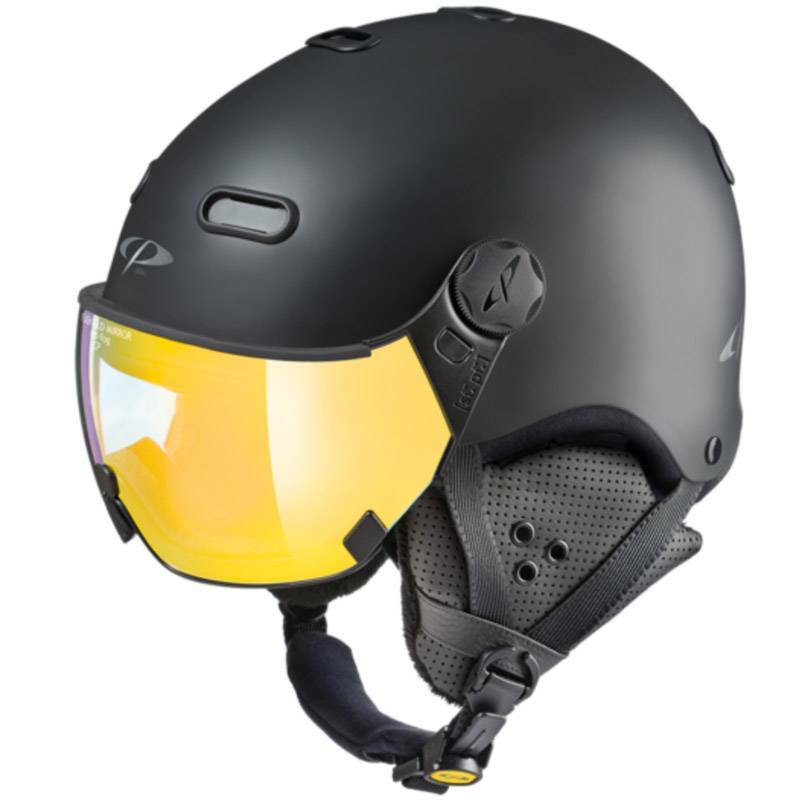 But feel free to change the look and performance of this helmet for different conditions as you can change visors on the fly without any tools. 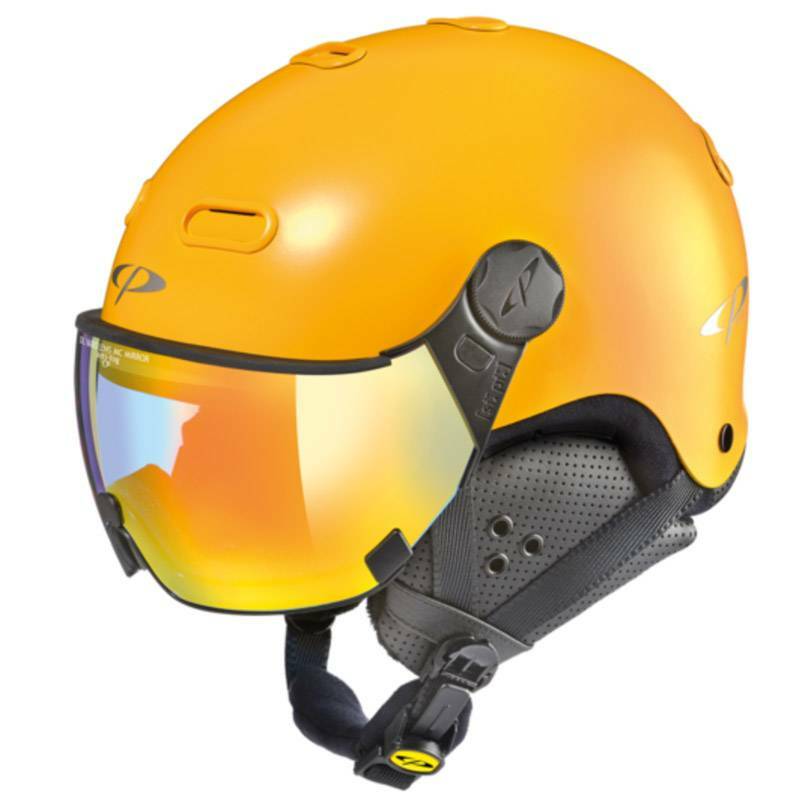 simply the ultimate feel-good. 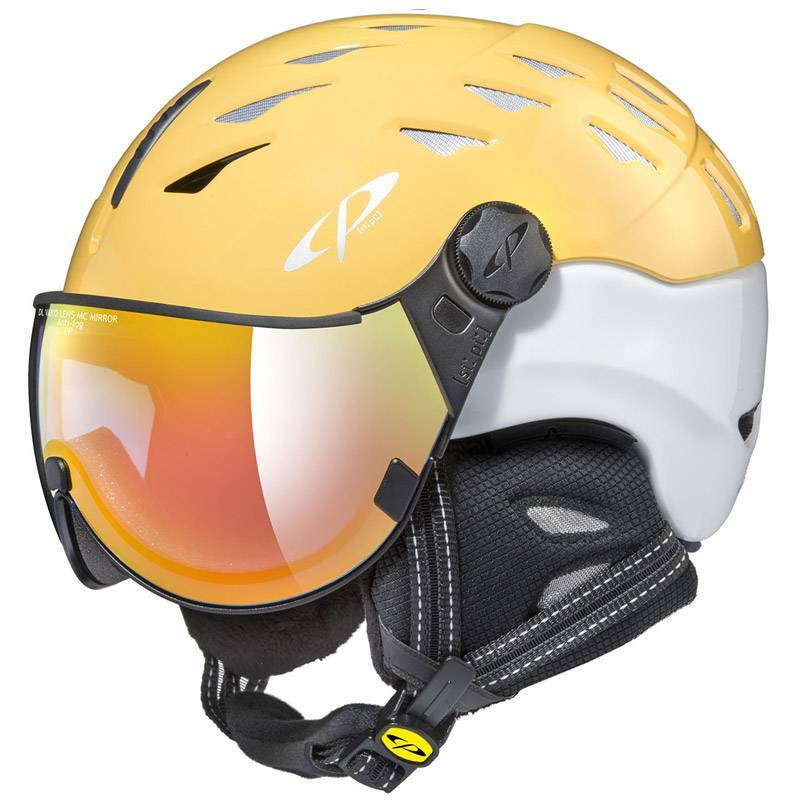 look-good ski helmet.